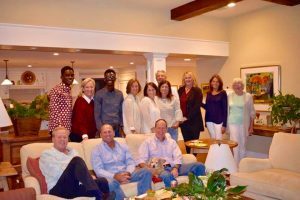 Each year, the Patricelli Center for Social Entrepreneurship awards three $5,000 seed grants to fund the launch or early-stage growth of a project, program, or venture. YAF Ghana, run by Ferdinand Quayson ’20, was one of this year’s winners. This is Ferdinand’s second report since receiving funding from the PCSE in March 2018. You can read his other reports here and here. Since our last report, a lot has happened. We have had tremendous progress in our overall aim for our program and also experience some setbacks along the way. This third report is a thorough reflection of the various stages our program has undergone since winning the PCSE Seed grant earlier last year. But, let’s start with the positives. Last year, we expanded our YAF Ghana Scholarship workshops which we initiated as part of our overall goal of expanding access to higher education. The program which began in 2017 was our way of ensuring that student from the most impoverished areas in Ghana has access to valuable information about the various scholarships and funding avenues available to them. In 2018 we expanded the program to include 10 more schools. The scholarship workshops also brought together various government and private entities in the academic scholarship sector, including representatives from Ghana Scholarship Secretariat, MasterCard foundation at Ashesi University, and the Ghana Education Service. Over 6,000 students participated in our program across two main regions: Brong Ahafo, and the Northern Region. Since the end of the 2018 Scholarship workshop, we have received positive feedback from the students, teachers, and the administrations of the various schools that took part in the program. After the scholarship workshop, we embarked on our ambitious YAF Ghana Scholars Program. 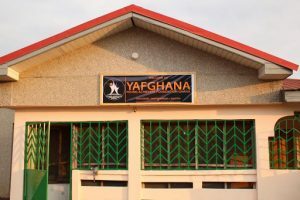 First, we needed a home where we could coordinate the activities of YAF Ghana and also house the scholars in the program. Thanks in part to the PCSE Seed Grant, and our major donors, we were able to rent a place that served the purpose. The seven-bedroom house contains spaces for YAF Ghana office, a classroom and a library, boys and girls rooms, and space for staff. 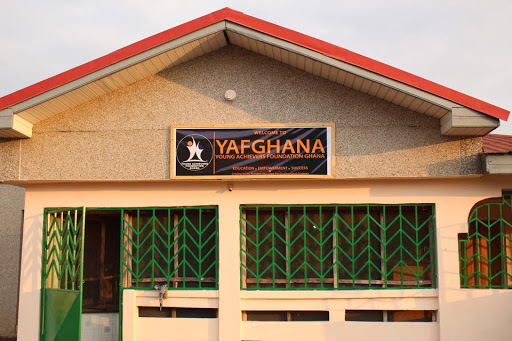 The space enabled us to roll out the YAF Ghana Scholars program, an initiative that helps gifted but needy students from some of the poorest communities in Ghana to gain admission to elite colleges in North America. The 16-week summer program consists of two residential sessions in which students get basic SAT prep, an introduction to American colleges and the application processes, as well as leadership training and community engagement activities that prepare them to be well-rounded students. Last year we accepted 10 out of 250 applicants. The overall stimulating environment that students in the program are exposed to enables them to learn, explore and engage in activities which broaden their views on world affair, leadership and their own role in global development. As we look forward to continuing this program in the future, we plan on working the Patricelli Center for Social Entrepreneurship at Wesleyan to design a miniature course that will help scholars in the program to develop useful skills in project design, ecosystem mapping, and fearless experimentation, skills which will build them up to make good use of the resources in the various colleges they find themselves, whether in North America or any part of the world, to develop solutions that will help address some of the developmental issues in the communities they come from. Following the successful rollout of the YAF Ghana Scholars Program, we threw a house party fundraising campaign to raise money to support our next ambitious program, which is to create a scholarship center which will contain books, computers, internet access, and a resource personnel. This center will be open to the general public. High school students from every corner of the region can come in and access our resources and get help with their college and scholarship application. We believe that this is important in an area such as northern Ghana which has long been neglected in the developmental process in Ghana. Most high school students graduate without any knowledge about the college application and the various opportunities it presents. The center will fill in this gap and provide the avenue for students to get the help they need. We have already made tremendous progress in our plans for the scholarship center. The Taft School which has been a permanent partner to our program donated additional two thousand college application materials in support of the scholarship center. The Cultural Affairs Department of the American Embassy in Ghana has also expressed tremendous enthusiasm to provide additional college application materials and advice to students who will utilize the scholarship center. We are currently in talks with representatives from Dell Corporation to get computers donated to support the center. Our next partner, we are still in talks with, is the telecommunication giant, Vodafone, which we believe can provide us with free internet access in support of our program. Although we still have a lot of work to do, we are happy for the tremendous progress we have made towards creating the scholarship center. Now that we have looked at the positives, let’s touch on a few setbacks we faced last year. We had made it as part of our program line up to do a follow-up scholarship workshop in the Fall to ensure that participants that took part in the summer scholarship workshops can get one-on-one mentorship with our numerous mentors in various universities across Ghana including Ashesi University. However, due to several hiccups in the planning process, we were not able to do the much anticipated follow up program in the Fall. It was a big blow to our program line up but, we have been able to reschedule the program for the second week in January 2019. However, the big problem is that not all the participants can take part in the program due to a new educational system which is about to be rolled out by the Government of Ghana. In spite of the limitations, we still believe that we’ll be able to get a chunk of the students to participate in the follow-up program. Overall, last year was a success in terms of our plans for the program but, there is still more to be done. We hope to create more partnerships and develop relationships with various departments and organizations that we believe will help foster the growth of our program. This includes the Patricelli Center for Social Entrepreneurship at Wesleyan and many others.